Raw kicked off with a war of words towards Big Cass fired by Enzo Amore, who he betrayed recently. One of the best lines being…”You are nothing more than a seven-foot catchphrase that I wrote.” Enzo then unexpectedly attacked Big Cass. Although this an entertaining and well presented to the fans I don’t see Enzo upsetting Big Cass at Great Balls of Fire. 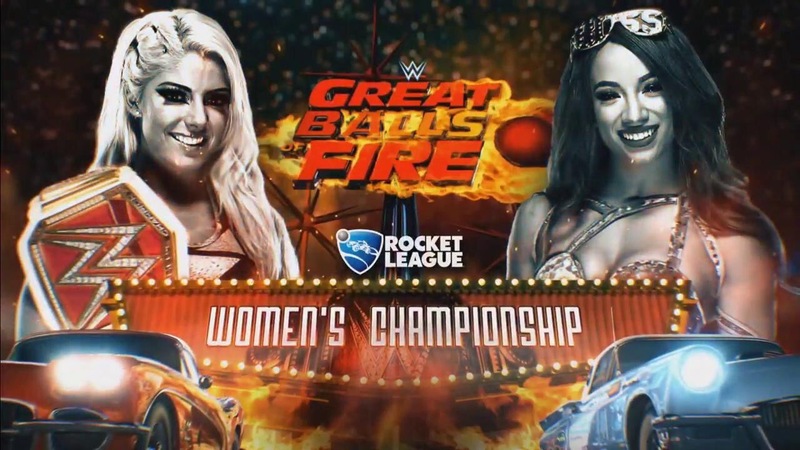 Sasha Banks has earned her shot at Alexa Bliss on Sunday. They participated in a tag match on Raw ahead of the one on one battle. Sasha found herself in a handicap match when Bayley was injured at the hands of Nia Jax. The Boss pulled off the upset victory and has all the momentum heading into Sunday. The Miz was running through his usual bashing of Dean Ambrose when Heath Slater requested a title shot. Kurt Angle then interfered and gave Heath just that opportunity; the winner would be set to meet Ambrose at Great Balls of Fire. Slater hung around with the Miz for much of the match, but a distraction caused by the Miztourage allowed The Miz to hit his “Skull Crushing Finale” on Slater to retain his title. Looks like Ambrose is getting he rematch he wanted. 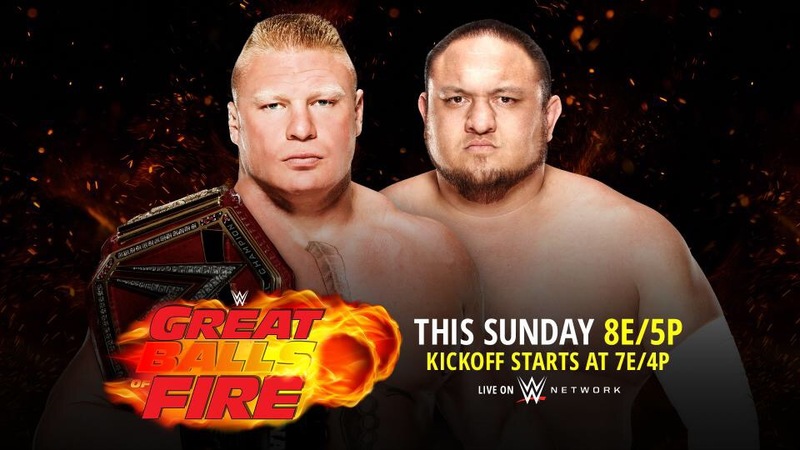 An interview was set up for both Samoa Joe and Brock Lesnar to answer questions before their title match this weekend. After being mocked by Brock and his advocate Paul Heyman Samoa Joe was done listening and stormed off looking for the Beast. When he eventually found him Joe had to be held back by several staff members. Joe is definitely being built up well for the big stage by the Raw brand. Can he beat Brock? I’m excited to find out which direction the WWE goes with this storyline. Finn Balor and Cesaro pumped up the Phoenix crowd to earn my vote for match of the night. The Hardy Boyz and Sheamus were ringside to just watch the match. That is until Elias Samson got a little to involved the Hardy Boyz ran down to help Balor and all hell broke loose. Balor then took over and took out everyone then finished off Cesaro with a Coup de Grâce. Balor is expected to continue his rise and I have no problem with it. 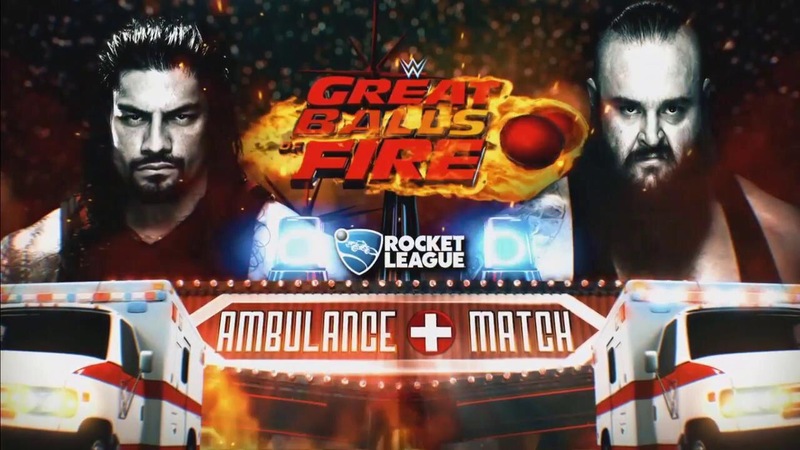 Braun Strowman was finishing off laying waste to yet another superstar (Apollo Crews) by putting him in the ambulance to send a message to Roman Reigns ahead of their match Sunday (Ambulance Match). When he tried to send the ambulance off he was ambushed by Reigns and eventually driven through a table. 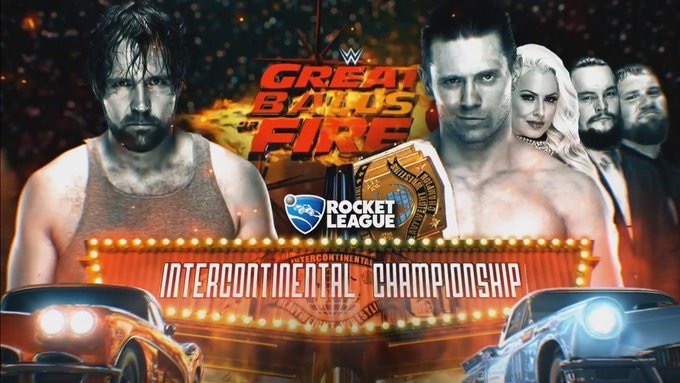 This should be one of the most brutal matches of the pay per view. What a show Raw offered fans in Phoenix tonight; rivalries were pushed to their brink leading into the pay per view Sunday I am excited to see who comes out on top in the key match ups. This concludes the First Edition of Jefe’s Monday Night Raw Rundown; see you next Monday ! This entry was posted in El Jefe, Entertainment News, Milliron Sports, Sports, WWE and tagged Milliron Sports, Sports, WWE. Bookmark the permalink.